The kettlebell was once a piece of equipment you would rarely see used, which usually just sat in the corner of the gym collecting dust. Most gyms only kept a few on hand and for good reason-no one was interested in using them. As of late however, probably noticed some fitness trends in exercise that not only utilize the kettlebell, but revolve the entire work out around this piece of equipment. This is because many people are finally starting to realize the value of this piece of equipment in that can be used similarly as a dumbbell could with the added bonus of focusing on grip strength as well. If you’re not already taking advantage of this piece of equipment by using it your way training, you’re definitely missing out. 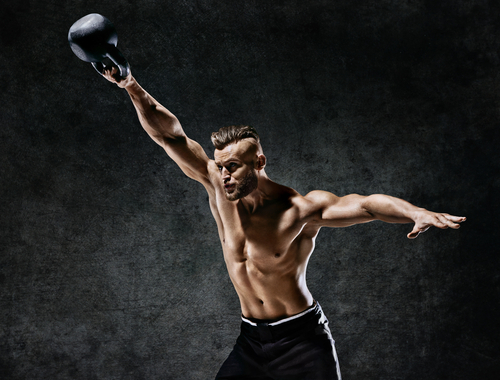 Here are some of the best exercises you can do utilizing the kettlebell. Traditional squats are an exercise that many people avoid doing in the gym. It is definitely one of the more dangerous exercise to do without a spotter, as you can easily and your spine. Balancing the weight on your back with a barbell is extremely awkward for many people and is a major reason why so many people suffer injury doing this exercise. In addition to that if you are someone who works out at home you may not even have proper equipment to do your traditional barbell squats. If you fall into audit of these categories, a goblet squat is a great or turn if you can do give your legs a great workout. Doing kettlebell squats is a great way for your body to get better acquainted to listing weight addition to your own body weight, which is great for beginners. You’re someone who struggling with maintaining their balance doing barbell squats, that will squats are great exercise to get you started. Another exercise that is really gaining popularity are cleans, as they are an explosive exercise using compound movements which give the individual great full body workout hitting multiple muscle groups. Traditionally just as you would the squat, cleans are done with a barbell. Like any other exercise that use a barbell, it is easy to become asymmetrical as your body will favor your dominant side. This is why doing exercises that isolate the legs or the arms for example are essential for every weightlifter. Doing one handed cleans with the kettlebell can help you to accomplish this and while doing so you can still get an intense exercise but you’ll see significant results from. 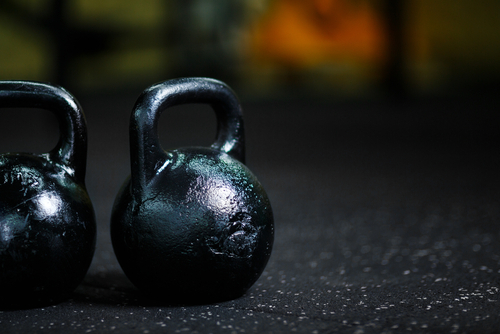 It all boils down to getting the right size kettlebell which may take some trial and error. This is a great exercise for people who are new to the deadlift, as performing the deadlift with a kettlebell tends to be much less awkward it would be doing so the barbell. Anyone who is familiar with doing deadlift to with a straight bar will tell you that they’ve ripped up their shins more than once of doing this exercise. Performing this exercise with a kettlebell and can eliminate that awkwardness and really help you get down the exercise. 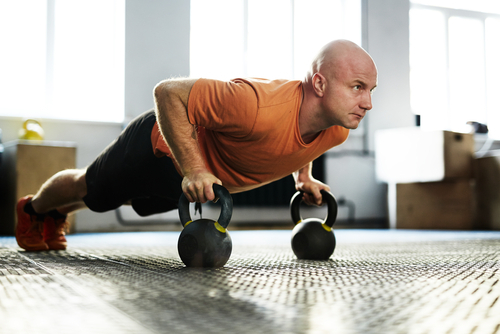 To best performance exercise, start with the kettlebell on the floor which should be in front of you. Stand with your feet shoulder with apart. You then want to squat down, take up the kettlebell with both hands and pick the weight up squeezing muscles are merely in your quads and hamstrings. Make sure to do so while putting the weight back on your heels rather than the bulls of your feet. Maintaining proper posture shoulders back and back straight throughout the exercise is also extremely important. Last on the list is the kettlebell swing which primarily targets lower back and hips. This is not only an effective exercise in doing so but is also extremely fun to do. As the name suggests this exercise revolves around swinging kettlebell by using your hips and back. To do this exercise you want to start in a position similar to the one you started in while doing kettlebell squat. The difference here is that you want to keep your arms loose while doing so as you don’t want them to help you back in lifting the weight. From this position you’re going to slightly and your knees and thrust the weight forward using back and hats and swing it backwards through your legs and forwards once more to complete one full repetition.